Before the night, in order for an optimal logjam in the middle of the Big Sky, you would have said two things needed to happen. One, Sacramento State would have to beat Montana State, which would move the Hornets closer to conference tournament play, and keep the Bobcats at six wins. The other thing would be for Portland State to beat Idaho State, since that would move both teams to 6-6 and tied with MSU for third place. 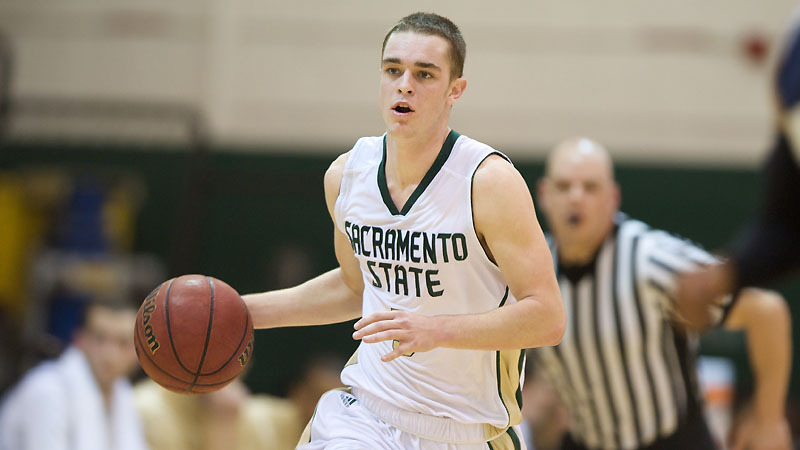 In the first game, it was Sacramento State getting their fourth win in a row, 86-76 over Montana State. They were led by freshman Dylan Garrity, who finished with a Sacramento State record of 16 assists (while also chipping in 14 points). He already led all freshmen in assists, and that number will only increase. It was a superb effort to be sure. He got help in those assists by guys knocking down guys, especially Joe Eberhard, who had 23 points, including going 5/5 from downtown. As a team, the Hornets were 11/19 from three point land. For MSU, both Xavier Blount and Christian Moon were neutralized, and that usually spells trouble for the Bobcats. They were held to 15 points on 4/15 shooting, which makes it tough for them to win. Tre Johnson led the team with 17 points and 7 rebounds. In the other game, Portland State coasted to a relatively easy 67-54 win over Idaho State. They jumped out to an early 10 point lead, and that never dropped to below 7 the rest of the way. Chehales Tapscott was the star, going for 15 points and 16 rebounds to help secure the road win. He was 7/11 from the line and just had a very nice all-around game. Charles Odum also contributed 18 points on just 9 shots. Idaho State was playing without Chase Grabau. He got a concussion in the Montana game that was not discovered until after the team got back to Pocatello. He will likely be out on Saturday as well. An already thin team struggles to put up points with Grabau, who does a little bit of everything for the Bengals. Melvin Morgan led them with 18 points. With four of those teams moving on to the conference tournament, it should be a fun couple of weeks.